My PhD project was part of the NWO funded research programme ‘The Dynamics of Cultural Remembrance’ at Utrecht University, led by Ann Rigney. It looked at the roles played by different media in creating cultural memory, and the ways cultural memory functions in society. I wrote a book looking at the cultural memory of settler colonialism in Australia, through the lens of 19th-century outlaw Ned Kelly, published by de Gruyter. 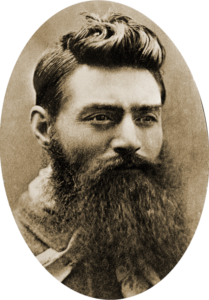 Nineteenth-century outlaw Ned Kelly is perhaps Australia’s most famous historical figure. 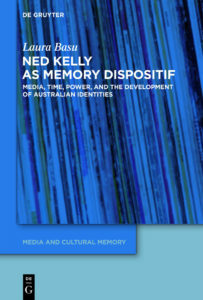 This book explains the processes by which the cultural memory of Kelly has developed over time, and how it has related to negotiations of group identity. 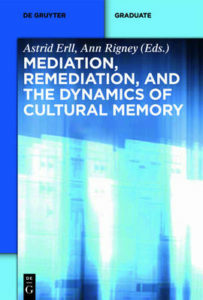 It breaks new ground in memory studies by showing how memories are formed and develop through tangles of relations – memory dispositifs – and by furthering understanding of the relationships between cultural memory and national identity, at a time when matters of identity are more urgent than ever. An edited volume also came out of the project, published by de Gruyter and edited by Ann Rigney and Astrid Erll. I contributed a chapter and also copy edited it, together with Paul Bijl.